At Sandia Chiropractic Care, we believe in keeping you healthy. In order to stay well, your pain must be managed appropriately. Dr. Gretchen uses advanced technologies in the natural healthcare world to keep your body systems in check. Electrotherapy (Interferential, Micro-current and Russian Stim) offers a wide range of frequencies that affect the nerve function and muscle tone. When a muscle is in pain from spasm or inflammation, electrotherapy can ease the pain without using pressure or strengthen a weak muscle using Russian Stim. Hot packs dilate blood vessels in the warmed area to promote healing and relax muscles. Cryotherapy or cold packs reduce swelling sedate, sedate the nerves, and decrease pain and inflammation. Intersegmental Traction (Roller Table) opens up each of the vertebrae, creates motion through each joint in the spine, massages the perispinal muscles, and creates overall relaxation. Vibratory Massage (Thumper) relaxes and loosens tense muscles, ultimately making adjustment easier. Supports (Neck Collars, Lumbar Belts) immobilize and give strained region an opportunity to heal. Ultrasound is useful to enhance healing for chronic musculoskeletal conditions; it disperses muscle spasms, breaks up scar tissue, and resolves trigger points. Short-wave Diathermy is a deep-heating treatment for lung inflammation such as bronchitis and pneumonia as well as adhesive disorders such as subscapular bursitis. X-rays are recommended based on need when there are specific circumstances such as trauma (accident or fall) or potential diseases (cancer, tumor, arthritis) to rule out or evaluate. A proper exam and history can usually tell enough to determine treatment. 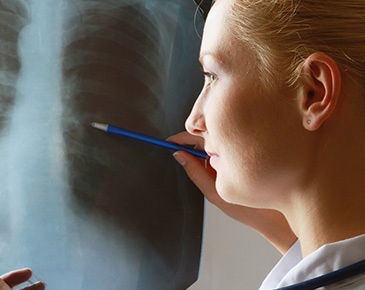 Because we don’t have on-site equipment, patients are referred to a radiologist for x-rays. 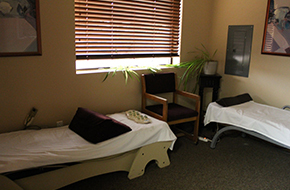 Trust in our tried and true therapies and methods for pain relief. We want you to feel like you again. Are you hurting? We can help!